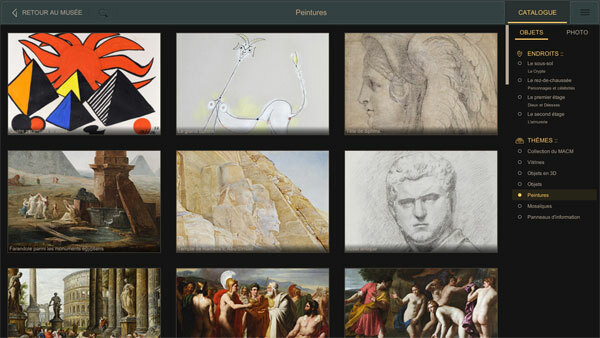 The Musée d’Art Classique de Mougins now offers its exceptional collections only a click or finger away on a computer, smartphone or tablet. 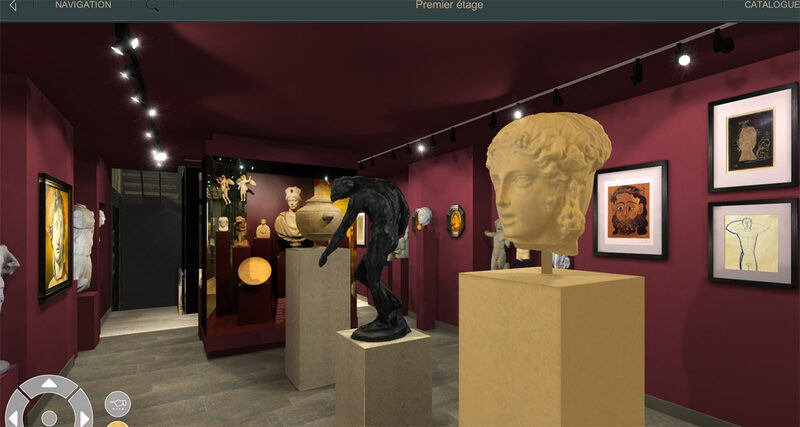 The Musée d’Art Classique de Mougins (MACM) – the small Louvre in Mougins – offers to visitors its collections of classical art in the heart of the village. Over four floors, you can admire more than 900 classic and contemporary works of art from Chris Levett‘s collections, an English art collector. All these wonders can now appear from virtually any angle, all over the world, on the screen of a computer, a smartphone, or tablet through the innovative application of interactive virtual tour MACM 4D. The MACM boasts outstanding world class collections of Roman marbles and bronzes, Greek sculptures, Egyptian sarcophagi, vases, coins, jewelry and glass objects in a perfect state of preservation, spanning over 4,000 years of history. The second floor houses the largest private collection in the world of arsenal of ancient weapons. To these classic works mingle a hundred contemporary works of art by artists such as Picasso, Chagall, Matisse, Duffy, Cézanne, Degas, Klein, Man Ray, Cocteau, Sosno, gently mixed in the old works as a mirror to pass through the centuries. Requests for loans of objects are numerous and many works from the MACM find a place in exhibitions at the Royal Academy and Sir John Soane’s Museum in London, the Prada Foundation in Venice, the Roman Museum in Cologne, the Museum Braunschweig in Germany, or the Metropolitan Museum in New York. 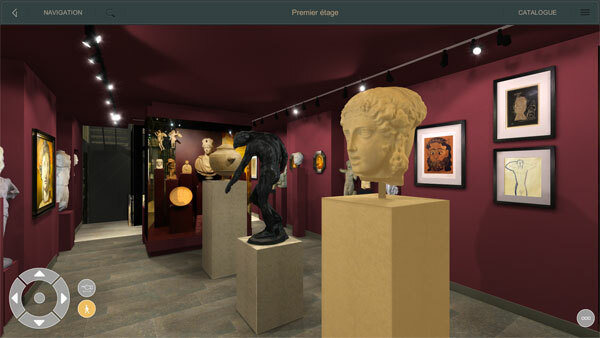 One of the fundamental principles of the Musée d’Art Classique de Mougins (Mougins Museum of Classical Art) is to be accessible to all public. However, there are more than 55,000 museums in the world, and even the most motivated art lovers can visit only a few, and often is unable to repeat the experience. 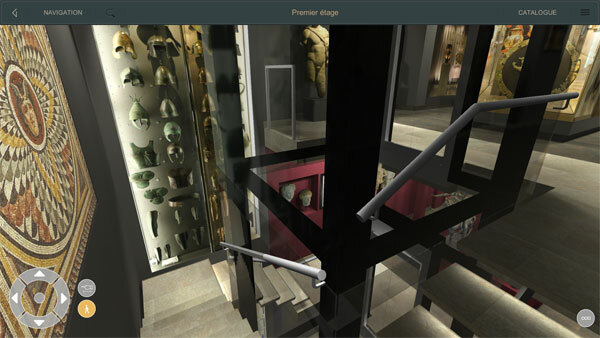 To meet the growing demand of visitors from our era, all generations considered, and those who can not travel, or don’t have the means, the MACM has developed in partnership with Navigator 4D, a 4D virtual tour to offer the world the treasure of their collections, and enable to discover and revive its exhibits in a virtual, but very realistic interactive dimension. 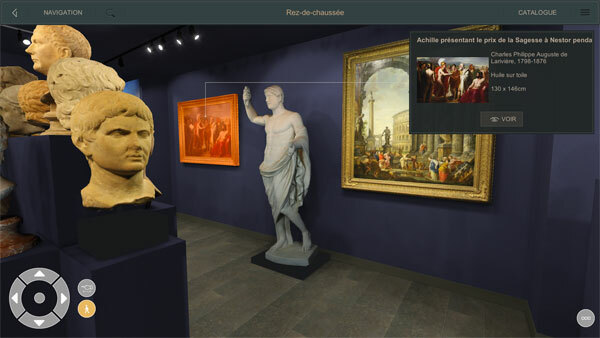 Visitors from around the world can visit the museum in virtual reality and see all the works – even those on loan in other museums – with a digitalization and navigation technology, the MACM 4D application. 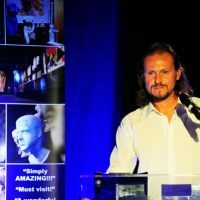 The museum will also enter into classrooms and lecture halls at the university and will allow the audience to share on social networks their enthusiasm for the masterpieces they admire. 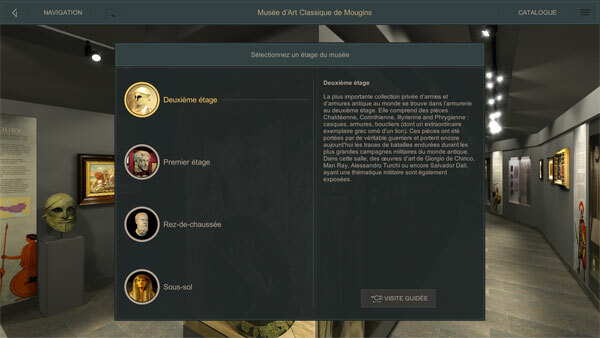 The digitalization technology has offered images of exceptional quality, giving a realistic dimension to the visit of the Musée d’Art Classique de Mougins. The visit with guided visit or free walk option, is interactive: visitors can wander at leisure through the aisles of the museum, zoom in to admire the paintings closely, handle the works, observe them under every angle and in every detail, all with great fluidity. Explanations are available on single click. 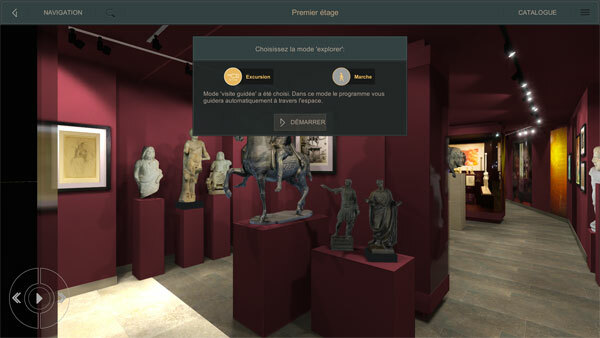 The extras of the interactivity: the app also provides a detailed catalog of the entire collection, with thematic categories and a search engine as well as a feature to see in situ object in their room at the museum. The application is available in 5 languages: English, French, German, Italian and Russian, and soon other languages will complement the language offer. 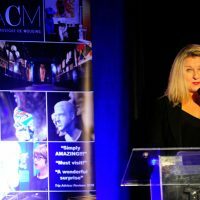 Leisa Paoli, Director of the Musée d’Art Classique de Mougins discussed the functions and potential of this new tool at the Salle Courteline in Mougins on the launch of the application, accompanied by Dimitry Lobachev, the founder of the company Navigator 4D in Vilnius, Lithuania and creator of the application MACM 4D.